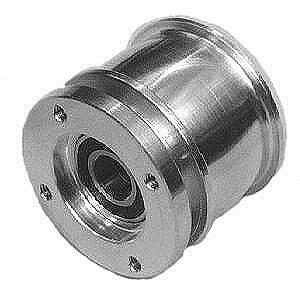 Fan hub ball bearing accessory pulley, All new, machined aluminum. 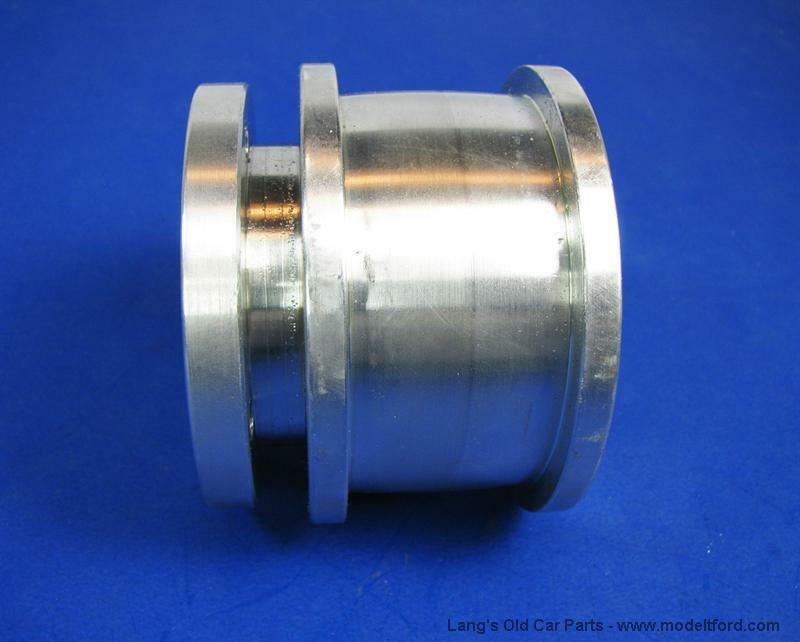 2 sealed ball bearings, No oiling or greasing required, no exchange required. Modified with modern style ball bearings. NOTE: Ball bearing fan hubs use permanently lubricated, sealed bearings. No more grease all over your engine and hood! Does the original fan bolt fit snugly on the new aluminum ball bearing or does it need to be replaced? I can move my fan about 1/16 " front to back currently. Is it a good idea to just replace the bolt anyway? Am I correct to assume there should be no play on the fan shaft. 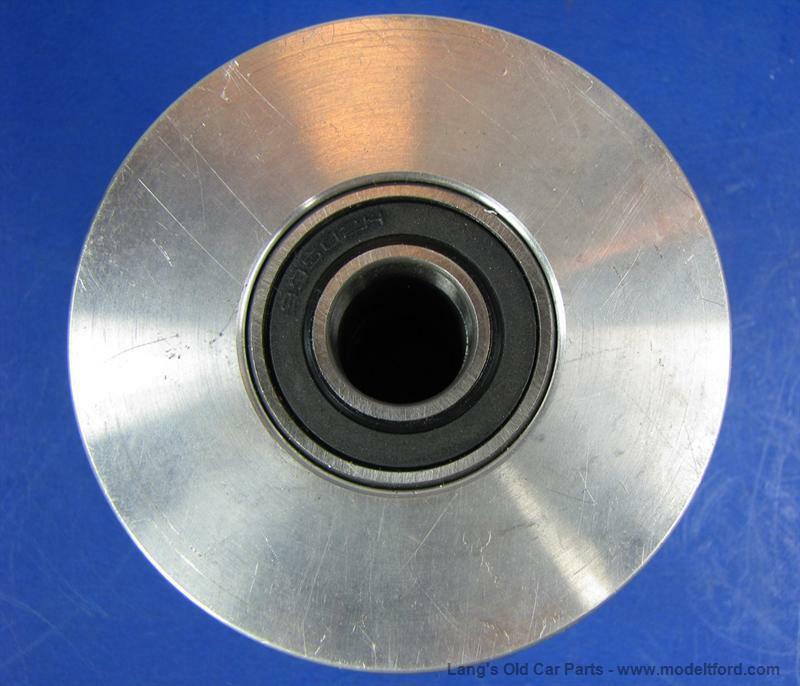 Do you know is removing this pulley how you change the fan belt? 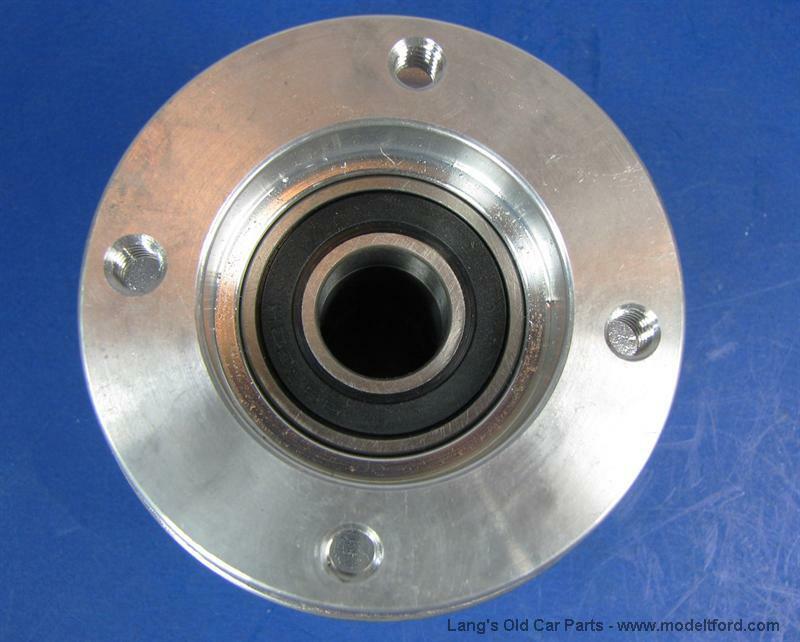 The ball bearing pulley is made to work with the orignial bolts. You will just have to make sure that the bolt isnt warn down. The back thrust surface for the hub rides on the felt seal and cap assemble. If you do not have any felt back there you can get it to slide back and forth or the felt might just be warn out. You shouldnt get any thrust movement, The bearing and the bolt mostly takes up any rock in the fan pulley. If that seams nice and tight then all you would have to do is to replace the seal. But if you can rock the pulley on the shaft you will have to find out which part is warn and fix it. To take it apart you will have to unscrew the fan blades off of the front and put a wrench on the two flats on the fan shaft to unscrew the shaft out. 11 out of 12 found this answer useful. Are there any circumstances under which this hub can be used on earlier models? Yes it can be if you also swap the fan shaft and the fan blades. If you are running it on a car with a brass radiator you will have to shorten the fan blades for clearance. 2 out of 2 found this answer useful. What is the overall length of this item? The length is 2 1/4"
0 out of 0 found this answer useful.